Bill Auberlen and Alexander Sims raced the No. 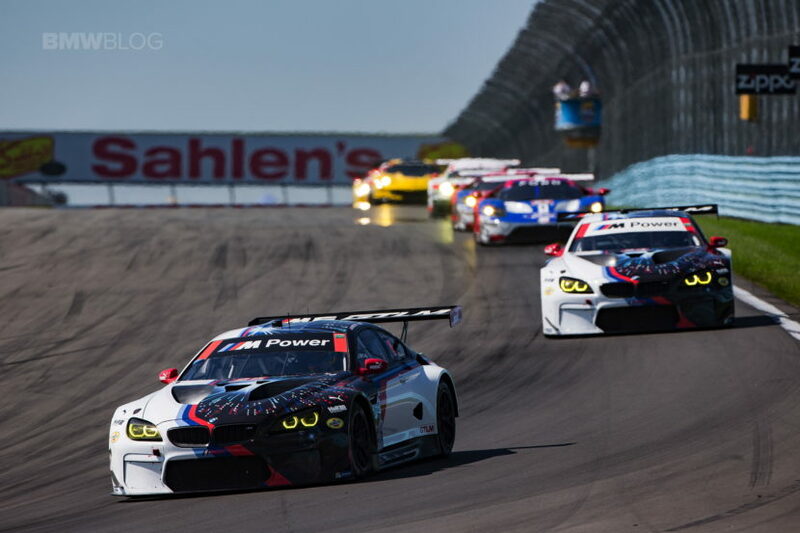 25 BMW Team RLL BMW M6 GTLM to victory today at the IMSA WeatherTech SportsCar Championship Sahlen’s Six Hours of The Glen. 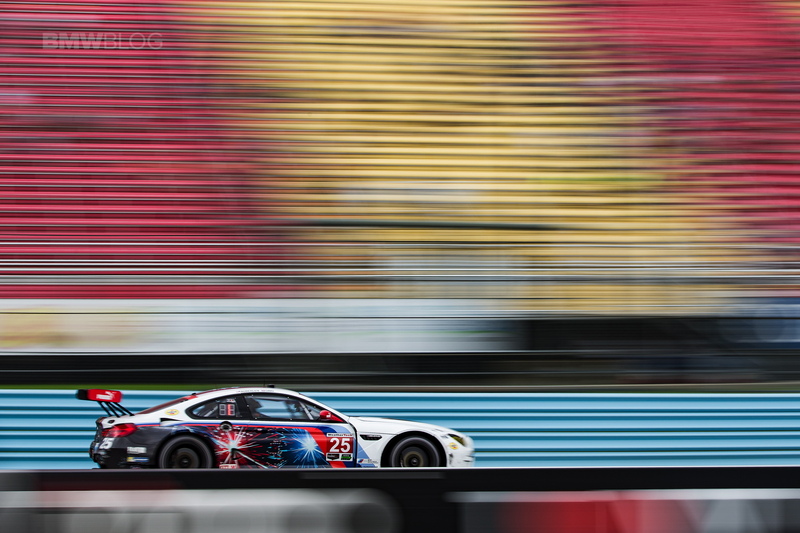 The win was the 14th for the BMW Team RLL program since 2009 and the first for the BMW M6 GTLM platform. 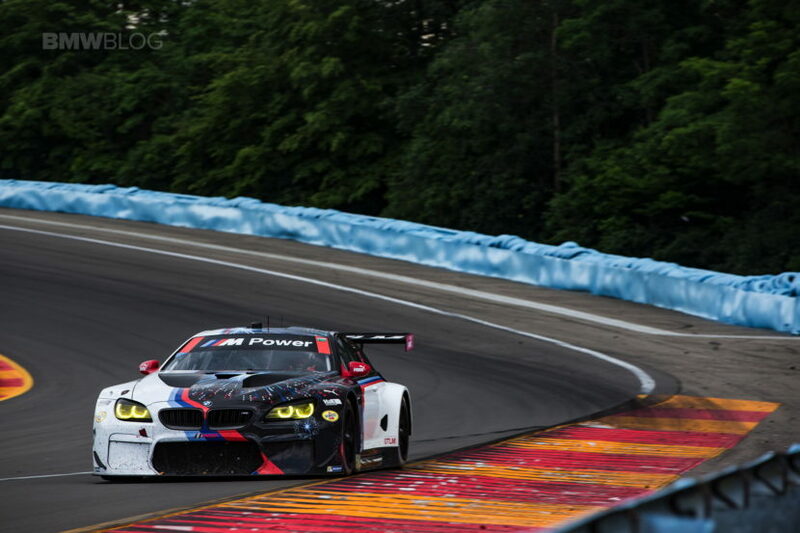 The duo completed 186 laps of the classic Watkins Glen International circuit during the six-hour contest, finishing 3.156 seconds ahead of the No. 67 Ford GT. 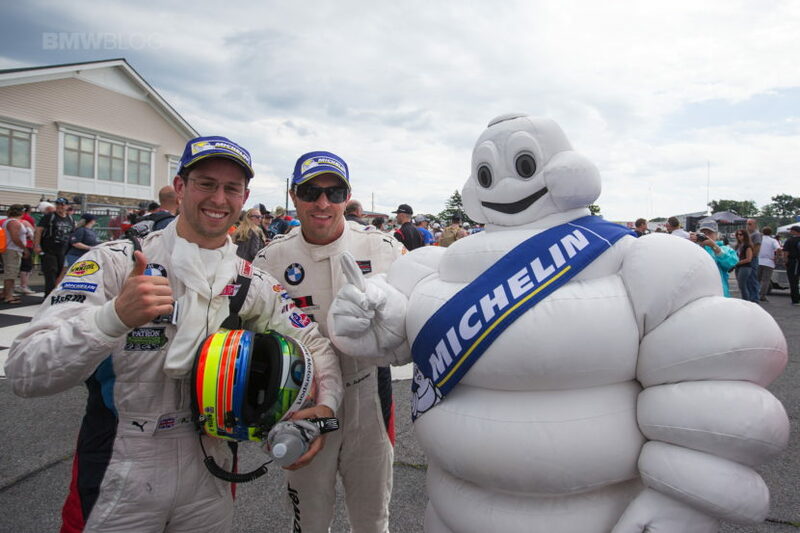 BMW Motorsport driver Sims celebrated his first sports car win in North America while Auberlen added another record to his illustrious career. With the M6 victory today, Auberlen has co-driven three BMW Team RLL racing cars to their first win (BMW M3 GT, Joey Hand – Road America 2009; BMW Z4 GTLM, Maxime Martin – Long Beach 2013 and BMW M6 GTLM, Alexander Sims- Watkins Glen – 2016). Teammates John Edwards and Martin Tomczyk had a strong race in the No. 24 M6 GTLM, leading the competitive class for a host of laps before being forced to retire the car on lap 161 after suffering radiator damage. 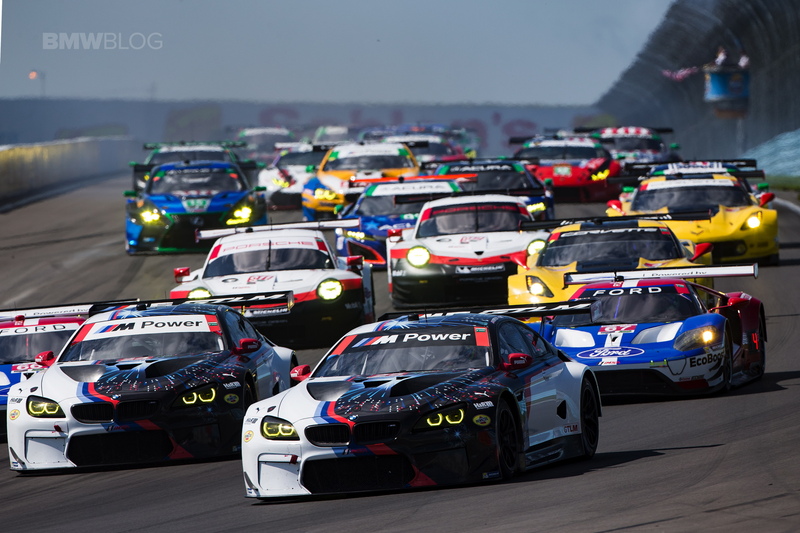 Under beautiful New York skies starting drivers Sims, from the second position, and Tomczyk, from third immediately moved forward at the green flag to grab the first and second spots in the GTLM class. Opening up a three second gap on the field both drivers quickly settled into a pace that would complement the car’s set-up. Tomczyk pitted from second on lap 24 to hand off to Edwards after the No. 24 M6 was filled with fuel and new Michelins installed. Sims pitted the No. 25 M6 from the lead on lap 29 and stayed in for a second stint after a fuel fill and tires. After the field cycled through the first round of pit stops on lap 34 Sims was back in front with Edwards three seconds behind in second. Edwards was forced to return to the pits on lap 38 for a deflating left front tire. A mistake during the stop brought the No. 24 M6 back to the pits for a drive-through penalty. Edwards pitted only14 laps later with a second deflation issue. Sims pitted the No. 25 M6 on lap 59, entering pit lane just as the first caution flag of the race flew. Auberlen took over the car and the lead. Edwards joined the balance of the GTLM field to pit under yellow and hand the No. 24 machine back to Tomczyk. The green flag flew with Auberlen P1, Tomczyk P8 and some four hours still remaining in the race. The second caution period of the race brought both BMWs to the pits on lap 87. The No. 4 Corvette pitted just before the caution, inheriting the lead from the No. 25 M6. Almost at the mid-point of the race, Lap 94 saw the third yellow flag wave for a car off at turn six. As the green flag waved on lap98, Auberlen found himself in a five-car battle at the front of the GTLM field. Losing two positions the Californian found himself in fourth, just ahead of teammate Tomczyk who had a strong restart to move into fifth. One lap later both BMWs moved up one position as the No. 911 Porsche fell out of second after an accident in the inner loop, bringing out the fourth yellow flag. 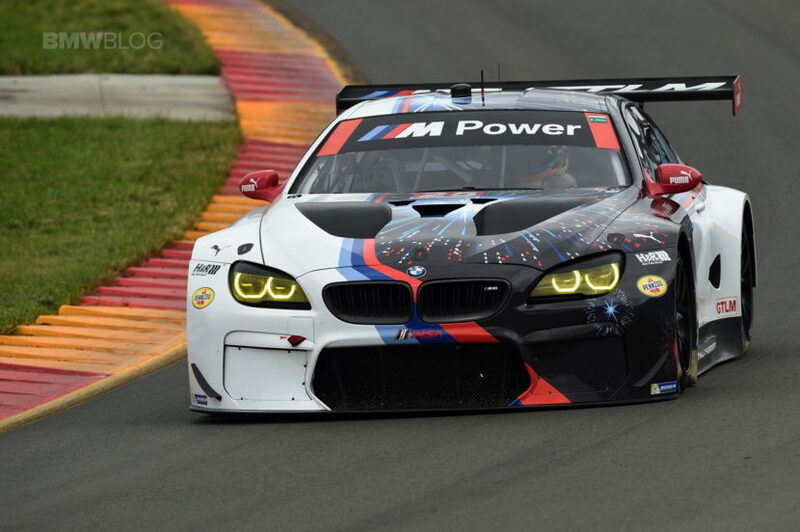 The BMWs were back at the sharp end of the field as the balance of the GTLM field pitted on lap 105. The race restarted on lap 107 with Auberlen P1 and Tomczyk P2. Tomczyk took over the lead on the next lap, opening a two second advantage on his teammate. He pitted from the lead on lap 123, handing the No. 24 M6 back to Edwards. Auberlen pitted on the next lap with Sims taking over in the driver’s seat. Edwards and Sims returned to the track in the sixth and seventh positions respectively. Edwards pitted on lap 156 for his final stop of the race, rejoining the race in fifth. Sims pitted one lap later for his final stop and rejoined in sixth, both BMWs committed to a different fuel strategy than most of the rest of the field. Four laps later Edwards reported a loss in water pressure and pitted the No. 24 M6. As the crew diagnosed the issue the day was effectively over for the No. 24 M6 and the car was ultimately retired with a punctured radiator. Sims continued to move the No. 25 M6 forward, reaching second as the rest of the GTLM field made their final pit stops. With 36 minutes remaining in the race, the fifth caution period occurred on lap 172 for two cars stopped on track giving Sims a bit of breathing room on his fuel saving strategy. Sims opened a gap on the restart and held the lead over the remaining laps to secure the first victory for the BMW M6 GTLM. Round Six of the 2017 IMSA WeatherTech SportsCar Championship, the Mobil 1 SportsCar Grand Prix, will be held July 8 at Canadian Tire Motorsport Park. Follow BMW Team RLL on Twitter at @BMWUSARacing for “from-the-pit-box” updates all weekend.